In our last few blogs we covered numbers 1 through 7 of our list of the 10 most common questions and concerns HR professionals raise when considering getting started with workforce analytics. I don’t have the time to start another initiative right now. We don’t have the skills needed for robust HR and Business Analytics. I don’t have the budget. Can’t my HR systems provide these analytics? What about IT, isn’t analytics their turf? Our data isn’t clean. It needs work before we can start. We’ve just installed a new HRIS (or we’re just about to…), shouldn’t we wait? Now let’s move onto 2 more questions and concerns and how you can overcome them. 8. How do I convince others that workforce analytics is an important investment? This is a popular question. Sometimes even those who are the most passionate about the value of workforce analytics need a little help positioning it within the organization. Start simply and build the story. If you can garner agreement that your organization’s most valuable asset is its people, then gaining deep insight into the workforce to understand what’s working and what isn’t, is certain to be supported. That’s step one. Next you can demonstrate how analytics and insight can make a difference to the business. Here don’t just use words… offer up a show and tell of the value it can deliver. One route is to show the executives what you’ve traditionally reported and explain to them why you believe it’s no longer good enough. Follow this up with a demonstration of the types of meaningful analytics you could be reporting. Use your own data or use examples. Start simply, and introduce the ability to segment turnover data with precision. Where you may have talked about 12% company-wide turnover rates previously, show how you can dissect turnover by demographics, tenure, role, performance, geography, source of hire, hiring manager, etc. Demonstrate how an analytics solution can pinpoint that you are actually losing 25% of top performers in a particular role. We’ll bet this type of reporting catches their attention, sparks dialogue, and speaks volumes about the value of workforce analytics. And if you need a little back up you can always call on these industry experts who advocate strongly that workforce analytics should be a business imperative: Harvard Business Review, Bersin by Deloitte, SHRM in the Wall Street Journal, and Aberdeen Group. 9. It seems overwhelming. I don’t know where to begin. Don’t worry, you’re not alone if you’re feeling overwhelmed before you even begin. 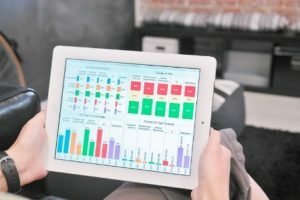 It makes sense—workforce analytics is new territory for Human Resources, there’s a lot of hype around it, and it’s not easy to know how to get started or where to begin. It requires stepping out of the comfort zone and this can be daunting. Not to mention the fact that once started, you know you’ll have at your fingertips all kinds of data and insight that was previously inaccessible. What to do with all of this? Well, the answer to that is to take a moment before you start and plan out your approach. Take the time at the outset to identify 1 or 2 key objectives or business priorities where you’d benefit from a deeper understanding. Find a financially relevant problem, one that will resonate with executives. If you like, ask your business partners what their biggest data challenges are right now. Add one of their priorities to your list. Maybe you want to initially tackle turnover and absenteeism/sick leave, or perhaps you have succession planning on the agenda. Whatever your priorities, place the focus on these at the start. Once you approach analytics with a targeted focus, you’ll be able to relax and revel in the insights. You’ll achieve clarity within your priority areas, build confidence in your decisions and gain credibility. The key is to start small and build as you go. For more on this download the document Putting Workforce Analytics to Work: Achieving Objectives and Realizing Outcomes or read this blog post on this topic. In our final blog of this series, we’ll cover #10 on our list of common concerns and questions. We’ll offer some best practices to address the question “How do I select a workforce analytics partner?”. Note: This is an excerpt from the eBook Getting Started with People Analytics | 10 Common Concerns and How to Overcome Them.